Are you interested in the emerging €2Tn bioeconomy market, but not sure how this applies to your business? Perhaps you are paying costly fees to dispose of production wastes, like straw, spent grain, vegetable peelings or starchy water? Or maybe you produce machinery that could be useful for processing bio-based materials? Do you have specialist skills and services which can be employed to support bioeconomy businesses? Whatever your business, our team can help advise how your company could break into this market and, where relevant, get you started by connecting you with new contacts and supply chains. You may be eligible for one of our pre-funded projects just ask us! During a half or full-day workshop, we can bring together your decision makers and innovators, with our technical and business specialists to tell you all about the bioeconomy, explore how this fits your business objectives and suggest next steps for suitable opportunities. “From our discussions with established bio-businesses and those just discovering the sector, we have yet to talk to someone who isn’t inspired by the tremendous opportunities biorefining (and the bioeconomy) can deliver – supporting the famed triple bottom line by providing economic, environmental and societal benefits.” explains Joe, our Director. Our vision is for the global economy to be a bioeconomy; with high-value, high-performance sustainable products from plants and unavoidable wastes gradually replacing petrochemicals and other materials derived from fossil resources. 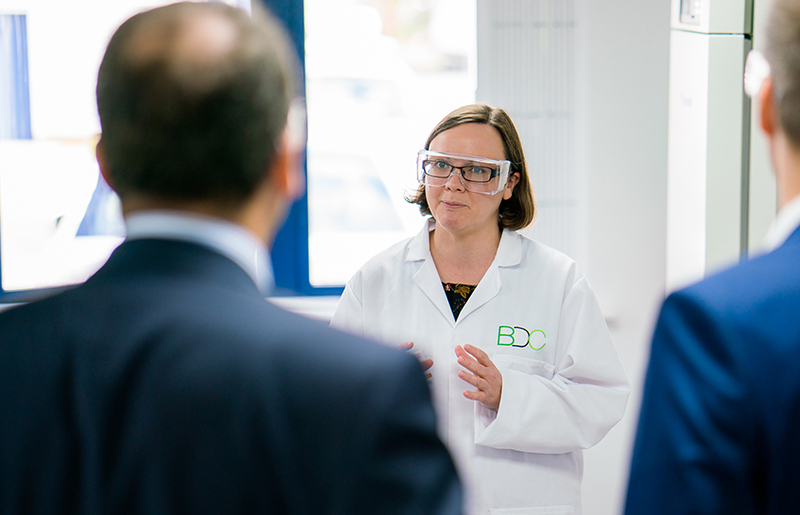 We aim to make this happen by helping to develop biobased processes and products for established bio-businesses and new entrants alike, removing barriers to entry and allowing businesses to dip their toe in the bioeconomy waters before committing – through access to our specialists and equipment. Don’t hesitate to contact Mike (mike.hartley@york.ac.uk) or Helen (helen.shiels@york.ac.uk) in our business development team to arrange a workshop and learn more about the exciting opportunities the bioeconomy could hold for your business. If you are based in Yorkshire, you may be eligible for one of our pre-funded projects.